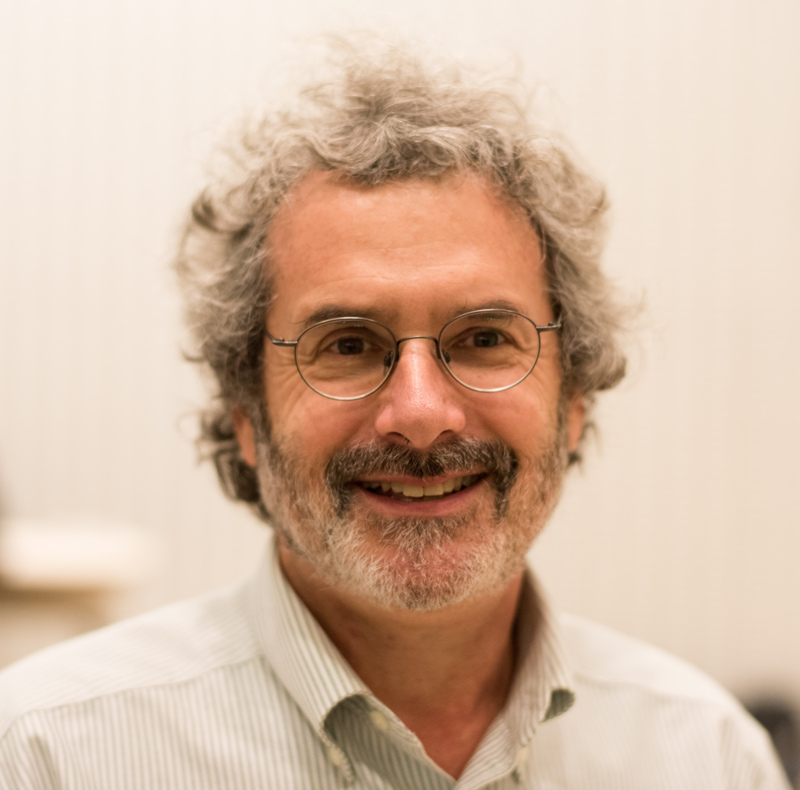 Prof. Neil Gershenfeld is the Director of MIT's Center for Bits and Atoms, where his unique laboratory is breaking down boundaries between the digital and physical worlds, from pioneering quantum computing to digital fabrication to the Internet of Things. He's the founder of a global network of over one thousand fab labs, chairs the Fab Foundation, and leads the Fab Academy. Prof. Neil Gershenfeld is the Director of MIT's Center for Bits and Atoms, where his unique laboratory is breaking down boundaries between the digital and physical worlds, from pioneering quantum computing to digital fabrication to the Internet of Things. Technology from his lab has been seen and used in settings including New York's Museum of Modern Art and rural Indian villages, the White House and the World Economic Forum, inner-city community centers and automobile safety systems, Las Vegas shows and Sami herds. He is the author of numerous technical publications, patents, and books including Designing Reality, Fab, When Things Start To Think, The Nature of Mathematical Modeling, and The Physics of Information Technology, and has been featured in media such as The New York Times, The Economist, NPR, CNN, and PBS. He is a Fellow of the American Physical Society, has been named one of Scientific American's 50 leaders in science and technology, as one of 40 Modern-Day Leonardos by the Museum of Science and Industry, one of Popular Mechanic's 25 Makers, has been selected as a CNN/Time/Fortune Principal Voice, and by Prospect/Foreign Policy as one of the top 100 public intellectuals. He's been called the intellectual father of the maker movement, founding a growing global network of over one thousand fab labs that provide widespread access to prototype tools for personal fabrication, directing the Fab Academy for distributed research and education in the principles and practices of digital fabrication, and chairing the Fab Foundation. Dr. Gershenfeld has a BA in Physics with High Honors from Swarthmore College, a Ph.D. in Applied Physics from Cornell University, honorary doctorates from Swarthmore College, Strathclyde University and the University of Antwerp, was a Junior Fellow of the Harvard University Society of Fellows, and a member of the research staff at Bell Labs. Research advances by Dr. Gershenfeld and his students and colleagues working at the boundary between physical science and computer science include: one of the first complete quantum computations, using nuclear spins in molecules; microfluidic bubble logic, with bits that transport materials as well as information; physical one-way cryptographic functions , implemented by mesoscopic light scattering; noise-locked loops that entrain on codes, which led to analog logic integrated circuits that use continuous device dynamics to solve digital problems; asynchronous logic automata to align hardware with software; Internet 0 for interdevice internetworking; microslot probes for ultra-small-sample structural studies; integrated 6-axis inertial measurement based on the dynamics of trapped particles; charge source tomography for electric field imaging and intrabody signaling; electropermanent actuators for high torque at low RPM with static holding; and additive assembly of functional digital materials that can be used in the highest modulus ultralight structures. He's spoken for events including TED (and another, and another), the The National Academy of Sciences, the Royal Academy, the National Science Foundation, the White House, the President's Council of Advisors on Science and Technology, the Library of Congress, the World Economic Forum, the World Science Festival, the Science & Entertainment Exchange, the Whole Earth Catalog, ESOF, Google, IBM, EDUCAUSE, ACADIA, the ACM/IEEE Conference on Supercomputing, IEDM, Etech, APMM, Solid, and Maker Faire. His movie credits include Minority Report and Big Hero 6. He's played the bassoon, ski patrolled and raced, and was a swimmer.